We fulfilled six activations including two special communications reports for the public and 4 private reports for our partners. We helped facilitate the delivery of 1500 Aquapure filters into Puerto Rico translating to 525,000 Liters of clean water and 2800 Sawyer water filters throughout the Caribbean translating to approximately 243,000 gallons of clean water every day. 6. YachtAid Global Activation: Information needs and operational support for Caribbean relief efforts. Providing wash cluster needs for potable water across 15 islands. Below are reports of impacts on islands in the Caribbean most affected by Hurricane Maria. Nations included in the report are Dominica, the Dominica Republic, Guadeloupe, Puerto Rico, and the US Virgin Islands. The report also includes useful information links for the Caribbean and islands impacted. Information stems from social media and public domain sources. Humanity Road activated its Digital Disaster Response Team on Tuesday, September 18, 2017 to monitor Maria and published Situation Report No 1 on September 20. Hurricane Maria rapidly intensified to a Category 5 hurricane on September 18 and made a direct landfall on the island of Dominica. It caused serious structural damage in Dominica and knocked out power and communications source. Maria made a second landfall at 6:15am, September 20 in Yabucoa, in southeastern Puerto Rico, as a Category 4 storm with winds of 155mph source. Power and communications are out in Puerto Rico, and the island has sustained severe structural damage. Communication to many parts of the island remains difficult, and some villages can only be accessed by boat or helicopter. The east coast where indigenous people live has not been reached. Needs include food, water, infant supplies, shelters, and building materials and equipment. Many schools have been destroyed, and the intensive care unit at the hospital in Roseau has been destroyed. Visitors and non-residents are being evacuated. See Dominica section of this report for more information. The northern part of the country, especially Duarte province, has experienced severe flooding. Communications and power has been knocked out in some places, and hundreds of people have been displaced. Hospitals and shelters in the region do not have power, generators, or medicines. For more information, see the Dominican Republic section. The southern coast of Guadeloupe is the most affected area. The military is currently clearing roads and debris. 40% of the island is without power, which is also affecting running water. The nursing home EHPAD and the AUDRA dialysis center in Grande Terre are affected. See Guadeloupe section for more information. The island of Puerto Rico remains without power, and many people have no communications. San Juan Airport has opened for military relief flights. 25% of the island now has water service, and mobile communications equipment is being flown in. Fuel is available but is being reserved for emergency personnel. About 70,000 people had to be evacuated on Sep 22 due to a breach of the Guajataca Dam in western Puerto Rico. See Puerto Rico section for more information. All ports in USVI remain closed, and the airports on St Croix and St Thomas are closed. The Governor Juan F. Luis Hospital and Medical Center in St. Croix has been damaged and is being evacuated. About 600 people on St Croix are in shelters. 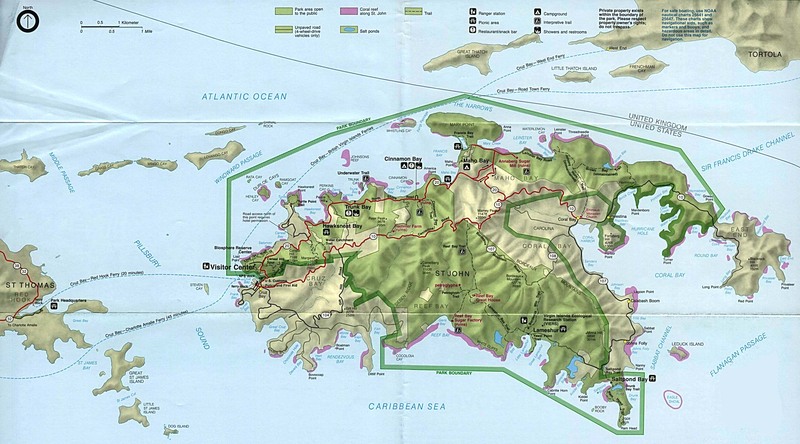 See USVI section for more information. International Red Cross - to locate missing or injured family members, call 844-782-9441 or use the International Reconnecting Families Inquiry Form. Puerto Rico Federal Affairs Administration: maria1@prfaa.pr.gov, 202-800-3133. Sep 21 - The VA Caribbean Healthcare System (VACHS) has begun recovery operations. The telephone switchboard is out of service. Veterans with health-related questions can contact the VISN 8 TELECARE number at 1-877-741-3400.